Tales from the Real OC (Really! ): Major FATED giveaway & a sneak peek at chapters 1-2!! Love all the pics and ideas! GOOD LUCK with all your writing. MizMaliciouz - Hope you enjoy FATED! Can't wait to share it with everyone! I just received a package from St. Martin's Press. 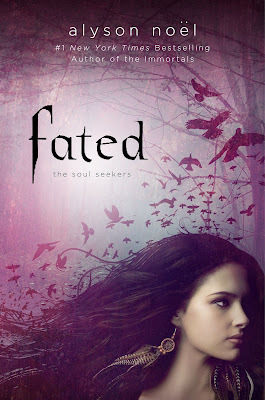 I won an Advance Reader Copy of Fated and the dream catcher earrings. I was looking forward to seeing you again at Barnes & Noble in Orange County but there are no events scheduled there. I wanted to hear you talk more about the series. Thank you for being a great author and person. I will never forget that you gave me Ever's necklace. What a weird coincidence my friend Diana was there that day and now she was here when I got Fated and the dream catcher earrings. I look forward to reading Fated and all your future books.